Using Google Forms, Wufoo, or Typeform to collect information? Send the answers directly to Streak. Streak connects with dozens of forms applications via Zapier. 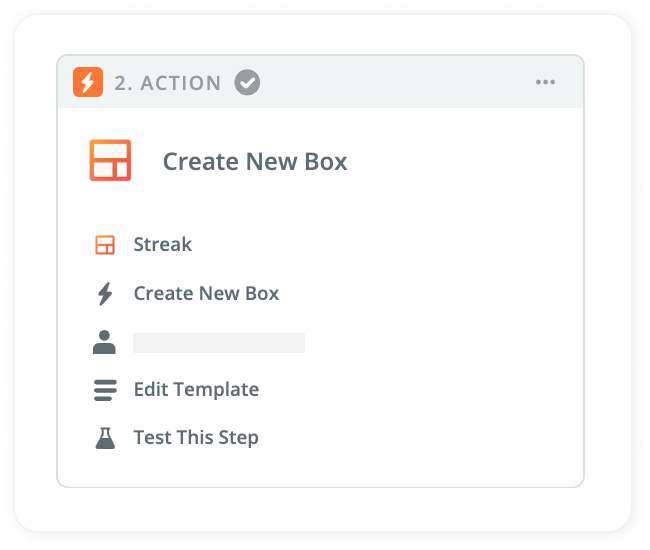 Integrating a form application with Streak can enable you to create Boxes automatically based on form responses that you receive or enrich existing data in Streak to match your use case. Navigate to Zapier and select Connected Accounts from the navigational tabs. Click into the input form for Connect a new account... and type the name of your form app. Authenticate your form application's account with Zapier. For some of our most common options and configurations, look below for guidance. If you don't see yours (or are running into any problems with the listed ones), just let us know! We're happy to help. Connecting Streak with a Google Form requires a Google Sheet be utilized alongside the form you're looking to work with. Proceed to the Connecting with Streak section below. 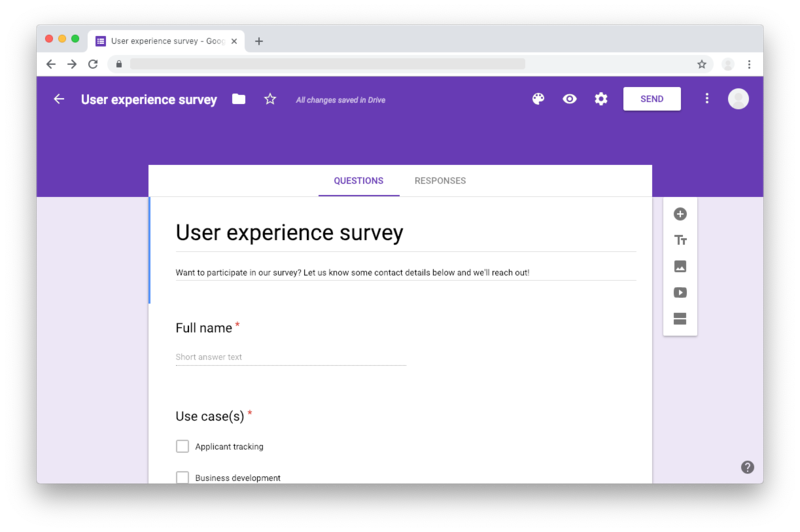 After saving and turning on your Zap, your Google Forms' responses will synchronize from its associated spreadsheet directly into Streak based on a polling schedule established by Zapier and your plan level with them. Depending on the data you're receiving from the form response, your next steps might vary in complexity. 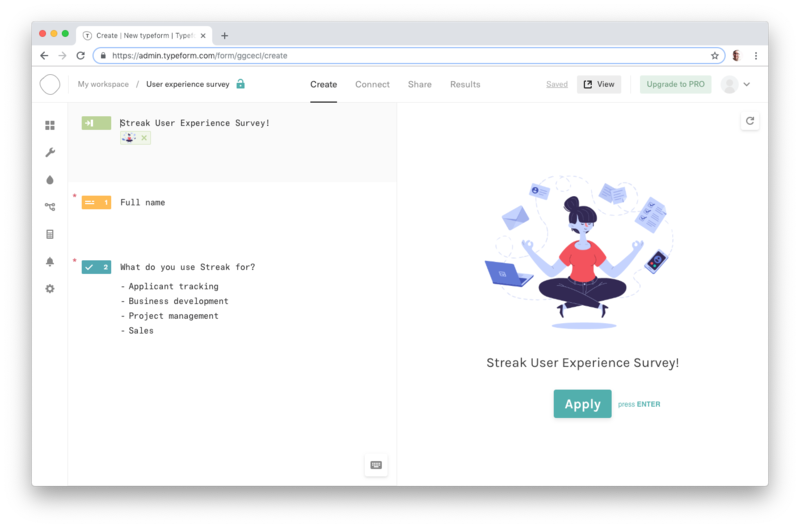 The options below are basic examples that will help you get started with connecting your forms to Streak. Continue as necessary through Zapier's test steps and select Finish. For Box Key, enter the box key from step 2. This will be a long string of text that looks like a unique ID (and not words). For Contact email, select an email address variable from step 1.